Television shows, comic strips, video games, and other forms of media directed at children are the subject of frequent and rancorous debate. 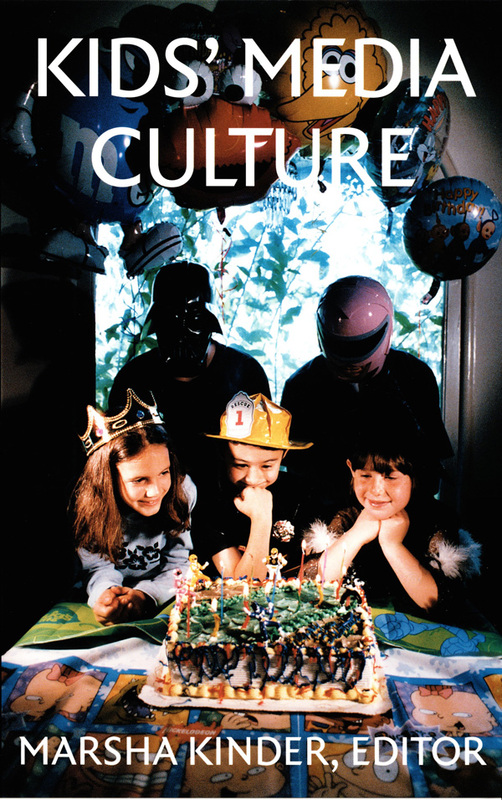 In Kids’ Media Culture some of the most prominent cultural theorists of children’s media join forces with exciting new voices in the field to consider the production and consumption of media aimed at children. What’s good for kids and what’s merely exploitive? Are shows that attempt to level the socioeconomic playing field by educating children effective? The essays in this anthology tackle these questions and pose provocative new questions of their own. As part of their argument that children’s reactions to mass media are far more complex and dynamic than previously thought, contributors examine the rise of mass media in postwar America. They explore how books, cartoons, and television shows of the 1950s and 1960s—such as Lassie and Dennis the Menace—helped redefine American identity and export an image of a particularly American optimism and innocence worldwide. Other essays take up the controversies surrounding such shows as Sesame Street, My So-Called Life, and Mighty Morphin Power Rangers. After discussing the differences in how children and adults react to such programs, the collection focuses on television in schools and the ways that mass media convey messages about gender and socialization. Kids’ Media Culture makes clear that children are active, engaged participants in the media culture surrounding them. This volume will be compelling reading for those interested in television and cultural studies as well as anyone interested in children’s education and welfare. Marsha Kinder is Professor of Critical Studies in the School of Cinema-Television at the University of Southern California. She is the author of a number of books, including Playing with Power in Movies, Television, and Video Games andRefiguring Spain: Cinema/Media/Representation, also published by Duke University Press.